Here is where we’re curating our list of the best Cyber Week deals on climbing and bouldering gear. Note: If you’re interested in more Cyber Week deals on outdoor gear, check out our curated list of deals on camping, hiking, and backpacking gear. The men’s prAna Stretch Zion Pant and the women’s prAna Halle Pant are our top picks in our guide to the best climbing pants. After testing the Zions against 6 other top pants they took home the crown. These pants move exceptionally well, offering plenty of stretch without any restriction or binding. The same can’t be said for all climbing pants. 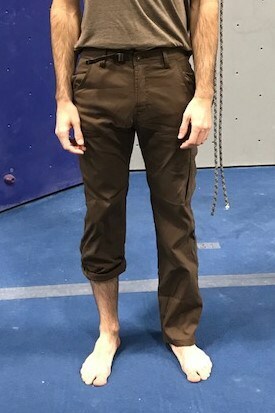 The pant features are also well-designed for climbing. A spacious thigh pocket stays out of the way of harness leg loops, and well-placed cuff snaps add ventilation and free the ankles. If you’re only buying a single pair of climbing pants, these are the ones to get. The R3 is our top pick in our guide to the best crash pads. Its innovative baffle design allows it to cover up some of the sketchiest landing zones. Currently it’s on sale for less than $150. That puts it in the price range of the top budget-friendly crash pads. For the performance that’s a great buy. The Mammut Infinity is our top pick in our guide to the best climbing ropes. At 9.5mm, it’s compatible with top belay devices such as the GriGri 2 and can be used for everything from sport to trad to multi-pitch climbing. Currently the Protect option is steeply discounted over at Backcountry. Act fast if you’re interested — a similar deal was recently on REI’s site for only a few days before it sold out. The La Sportiva Finale is our top pick in our guide to the best beginner climbing shoes. Testers were impressed with its combination of comfort, performance, and versatility. Racking up boulders in the gym? Learning to sport climb? Heading out for your first multi-pitch? The Finale can do it all. It makes for a great gift for the beginner climber in your life. The Grigri 2 is our top pick in our guide to the best belay devices, and this is the lowest price we’ve ever seen it go for online. 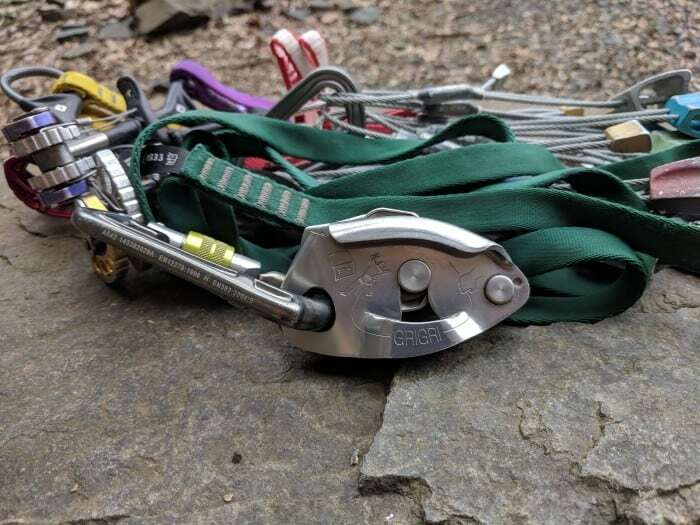 After field testing it side-by-side along 5 other belay devices, we concluded that it remains the most capable, versatile, and reassuring belay device on the market. It’s a classic for a reason. 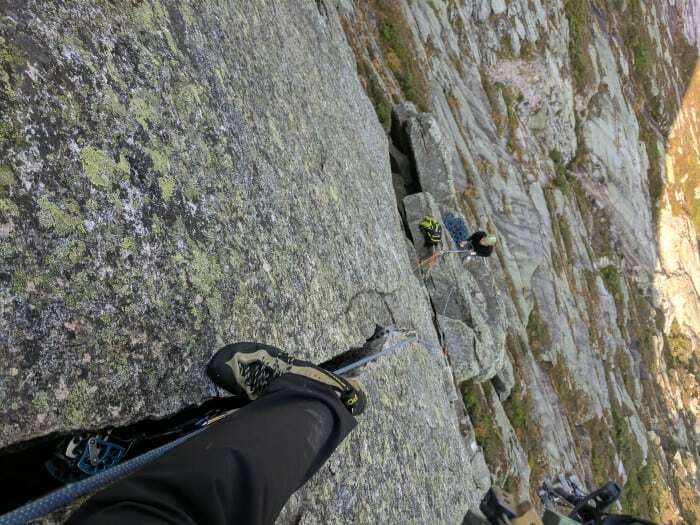 One of our gear testers taking the TC Pros up some of their favorite terrain — alpine granite cracks. The C80’s deep, wide basket makes a difference for large-handed folks. The C80 is our top pick in our guide to the best chalk bags. After testing 8 chalk bags from top brands, it was our clear favorite. Testers loved its wide opening, deep basket, and effective drawstring. Most beginner climbers spend $10 or $15 on their first chalk bag and never think to upgrade. This makes a premium chalk bag an excellent gift for the climber or boulderer in your life. A full trad rack like this one can cost thousands of dollars. Chop $87 off the price of entry with this Camalot C4 Package. Building a trad track takes a huge investment, so aspiring trad climbers should take a long hard look at this deal. Black Diamond Camalot C4s have long been the gold standard in the world of cams. This package comes with 5 cams from sizes 0.5 to 3 (loose fingers to fists).